This is where you can see the original version of the famous Chahakobi (tea serving) doll. You can also take a look at important historical materials and documents related to the floats used in the Inuyama Festival. Mr. Tamaya Shobei will give you a demonstration of how Karakuri dolls are created. You will be fascinated by the skilled handling of the dolls and their lifelike movements. 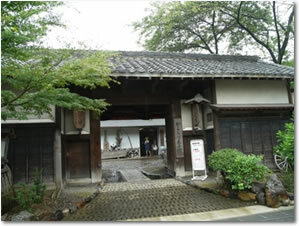 This exhibition center is located in the annex of the Inuyama City Cultural Museum. * Please note that depending on circumstances, demonstrations may be cancelled. 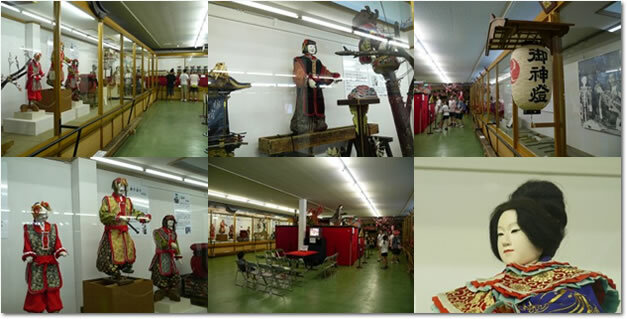 The price for entrance into the Karakuri Doll Exhibition Center is included in the entry price for the Inuyama City Cultural Museum (¥100).